The Players Pack is available. Updated details of Mission 2 and 3 are in the Mission Pack. CR-90 Capture - Fight to control a CR-90 ship. Gravity Drive - Fight amongst the ruins of a gravity drive moving obstacles and ships about. Dog fight - Different deployment depending on winning fleet. Early payment by September 5th will enter into the draw for a viynl start map donated by Nerdvana Games. The main competition prizes are dontated by The Hobby Matrix. Preference for fleet assignment will be given in order of payment. The Imperials won the day with 17 to 15 victories. Congratulations to the top 3 Imperial places Evan, Jake and Jean-Noel and the top 3 Rebel places Caper, Ned and Gary. These winners took home vouchers to The Hobby Matrix. Congratulations to Daniel for winning the the early pay door prize of the space mat donated from Nerdvana Games. Congratulations to Evan Becker for taking taking the top spot on the day and having his name added to the perpetual trophy for the second time. Finally congratulations to Christopher for taking home the Jar Jar award. The Players Pack is now available for this competition. Time to start drumming up interest all you X-Wing players! A reminder that payments made by September the 5th put you in the draw for the Make-My-Model space mat donated by Nerdvana Games SA. Paid - for the Empire! Starting to assemble some fleets here. Don't forget payment by Saturday goes into the early pay door prize, but you can keep entering right up to the event start (though a heads up helps make sure I've got everything balanced). Still wanting to come, probably wont be able to confirm till next week sometime. A summary of how Mission 2 and 3 effect the game is available in the Updated details of Mission 2 and 3 are in the Mission Pack. Note that for mission 3 the details of some of the upgrades have been changed. This is to make the wording clearer and consistent across all upgrades. These replace the similar definitions in the original players pack. The results of the day have been added to the first post. 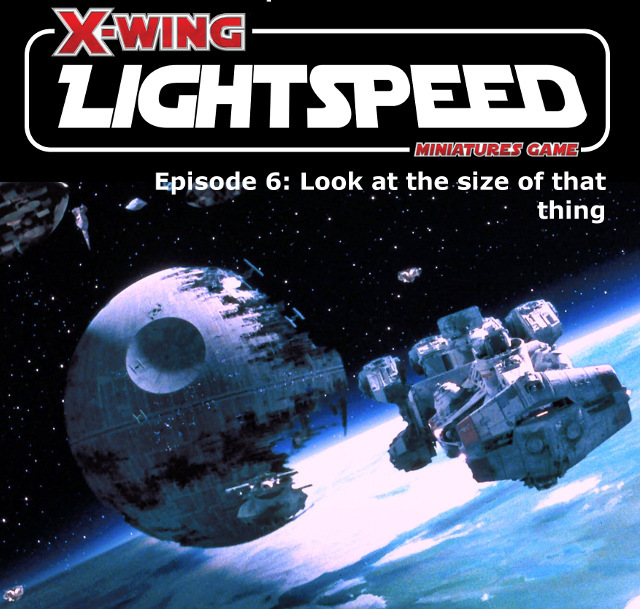 Thank you to everyone for attending and continuing to make Lightspeed the great day of X-Wing it is. We had a wide range of players from beginners to experience and no-one came away grumbling that they were being beaten to hard or not having tough enough competition. Everyone managed to keep up with the custom missions too. I'm keen to keep running this competition again. I'll hopefully manage to avoid clashing with store championships, regionals or nationals again next year.